Horrifying "Ag-Gag" Laws Spread To Australia, Equate Animal Advocates With "Terrorists"
Instead of being lauded for revealing the horrific conditions under which factory-farmed meat is produced, animal welfare advocates are often targeted for taking brave steps to show the American people just what exactly they're eating. "Ag-gag" laws, which aim to protect the meat and dairy industries by banning any sort of surveillance inside factory farms, pose a huge threat to human and animal safety -- and they're making their way to other countries. In Australia, support for ag-gag laws has grown in recent months. Last summer, two Australian senators came out in favor of ag-gag laws similar to those passed in several U.S. states. Another MP, Katrina Hodgkinson, sparked controversy by saying undercover welfare investigators were "akin to terrorists," telling the New South Wales Farmers' Association that parliament "cannot support" factory farming investigations. 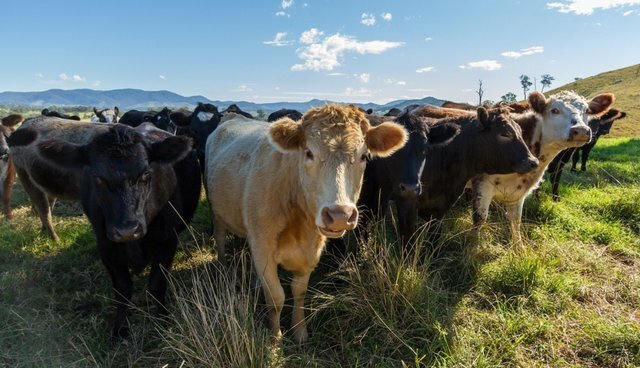 And just this week, a representative from the Shooters and Fishers Party, Robert Brown, called for tougher laws to prevent animal advocates from investigating Australia's agricultural industry. According to Will Potter, author of Green Is The New Red and a speaker on animal protection issues, the move to pass ag-gag laws in Australia is the result of animal activists becoming more and more effective at revealing the cruelty endemic to factory farming. "There is a long history of open rescues and undercover investigations [in Australia], and activists such as Patty Mark and Animal Liberation Victoria are known internationally for their pioneering work," Potter wrote for the Sydney Morning Herald. "Australians have an opportunity that we lacked in the U.S.: [they] can stop these dangerous proposals before they ever become law." Potter says the key to preventing the spread of ag-gag laws, as well as the horrifying factory farming practices they're meant to protect, is open dialogue. "If there is one thing I have learnt in my reporting on ag-gag laws," he said, " it is the power of an informed public to create change."